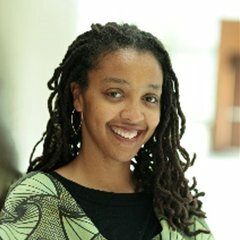 Solana Rice is Director for State & Local Policy at Prosperity Now. With over a decade of focus on building wealth and financial security for low-income families, she leads a team to create and advance effective state and local policies. The team is dedicated to building strong advocacy partnerships with organizations in the field and identifying policies that can address racial inequalities. Solana supports the Prosperity Now Scorecard, a state-by-state assessment of how families are faring and the strength of state policies. She has also led several initiatives at Prosperity Now that use data to inform and compel new partnerships that in turn spark policy changes to improve financial capability for families. Prior to joining Prosperity Now, Solana served as a director for financial security initiatives at PolicyLink. Solana has a Master’s in City Planning from MIT, where she researched the integration of IDAs into community development services. She holds a B.A. in architecture from Washington University in St. Louis.